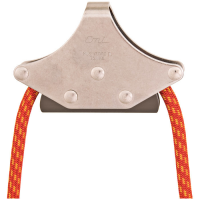 . . Part Number: RP159. . MBS: 13,500 lbs (60kN). . Rope Capacity: 5/8 in.. . Side Plates: Anodized Aluminum. . 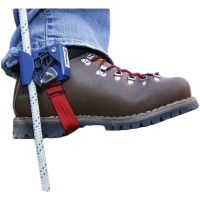 Mechanics: Bearing. . Sheave: (2) 4 in. 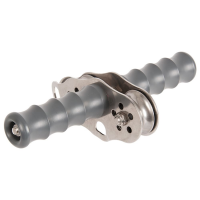 Aluminum. . Axle: Stainless Steel. . . . . . 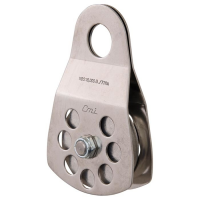 Stainless steel sideplates, 3 in.aluminum sheave, bushing, and stainless steel axle. Stainless steel sieplates, two 1 1/2 in. stainless steel sheaves, ball bearings and stainless steel axles. . 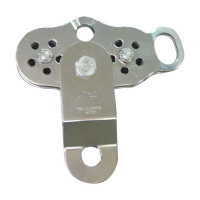 Stainless steel sideplates, two stainless sheaves, ball bearings, and stainless steel axle. 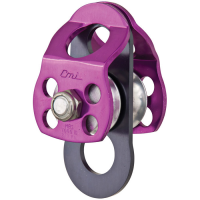 Max Speed = 130 ft/sec or 90 MPH. .
CMI's Rescue Swivel helps to eliminate twisting in critical lines due to load rotation. 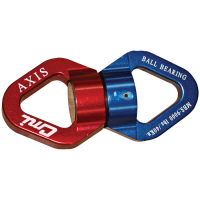 Its 9000 lb (40kN) MBS gives you peace of mind when moving the heaviest of loads, and its sealed ball bearing will keep it operating smoothly for years. . 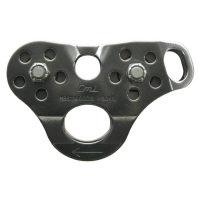 Stainless steel sideplates, 3 in. 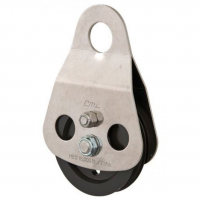 aluminum hard coated sheave, bushing, and stainless steel axle. Stainless steel sideplates, two 2 in. steel sheaves, ball bearings,stainless steel axles. . . .